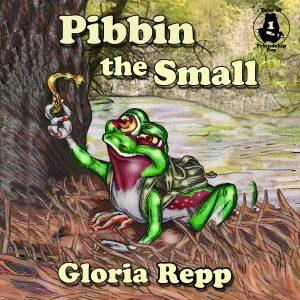 In spite of his fears, Pibbin sets off with his new pal, Leeper, and they hop into a more dangerous mystery than anyone ever expected. Book 2, The Story Shell, and Book 3, Trapped, are also available as audiobooks. On a warm spring night in New Jersey, I listened to Pine Barrens Treefrogs for the first time, and I will never forget their earnest songs: “Wonk-wonk-wonk!” A friend gave me one of those small green creatures to hold, but my delight was short-lived. I felt the frog’s tiny feet scrabbling against my palm, I opened my fingers, and it was gone. I asked myself, “Could anything so delicate also be brave? What adventures might he have?” The story of a little treefrog named Pibbin began to grow. He’d be small, but he would have a large heart of concern for his friends. As I thought further, I decided that Pibbin’s adventures should be easy to read–for all children to enjoy–and I would gather them into a collection: TALES OF FRIENDSHIP BOG. 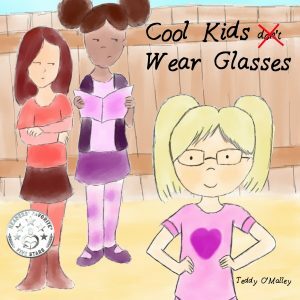 I know that children enjoy listening to stories as well as reading them, and as the audiobook market began to grow, I realized that my books would be a good fit. My son was a professional radio journalist at the time, and he was also producing audiobooks. I thought his deep, expressive voice would be excellent for narrating TALES OF FRIENDSHIP BOG, so I asked if he would consider taking on the project, and he agreed with enthusiasm. I wanted to go with Audible/ACX because I had published TALES with Amazon, and I had confidence that they would handle the details professionally. If someone is thinking about creating an audiobook, what advice would you give them? Make sure the narrator gives you a sample reading before you begin and listen to other books he/she has narrated. See what you can find out about the producer, as well. The audio-book process can be arduous, and it’s important to have confidence in your production team. Mandy Harper, one of the meanest girls ever, viciously ruled the school. She decided who was in and who was out. At least until Kayla Littlebe started standing up to her. But one day Mandy found out she might need glasses. Would she still be able to rule the school or would her new glasses help her see the error of her ways?